After a little break we are coming back with a new season of Project Project Runway to follow along with season 13 of Project Runway starting July 24th. Of course, we’d like to invite all you budding designers to play along with us! 1. 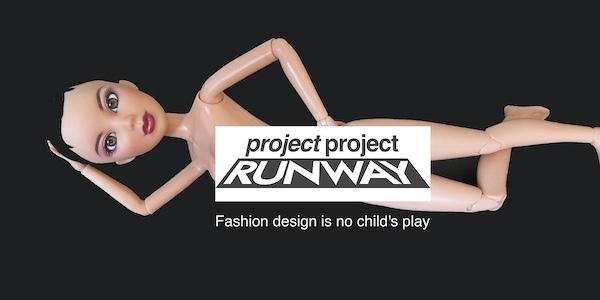 Every Friday morning we will post a Project Project Runway challenge based on that week’s challenge on Project Runway. 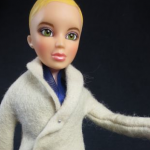 We will try to keep the challenge as close as possible to that on the show adapting it as needed for dolls. 2. 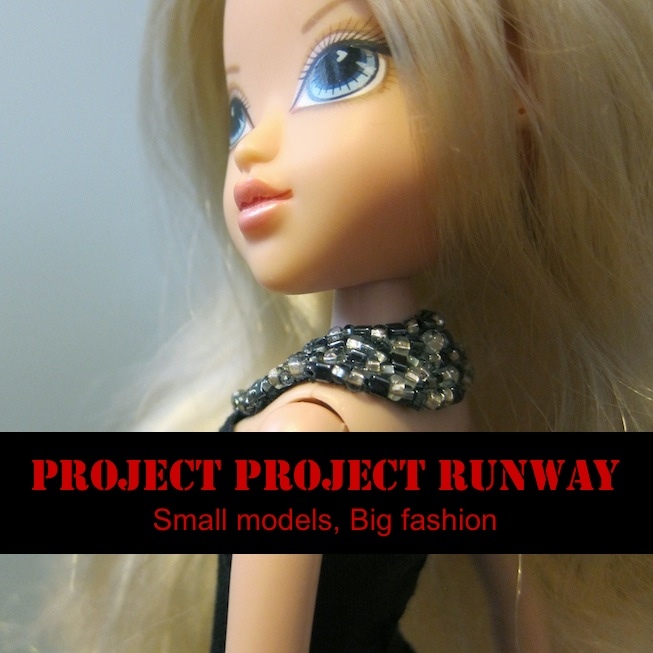 Project Project Runway designers then create a design to meet that challenge for a fashion doll. 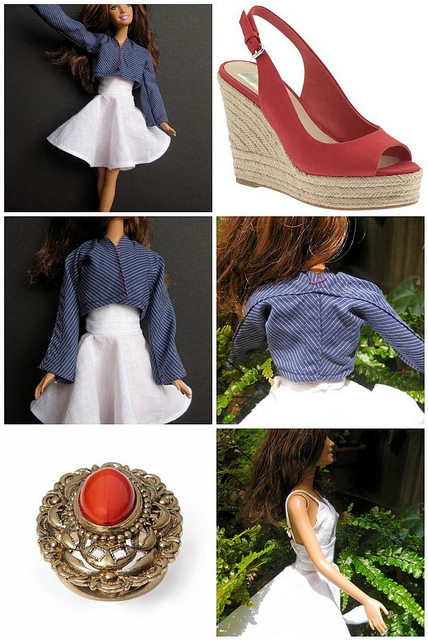 They can use any doll they want, but it is best to use something with a more adult figure for really fashionable looks. 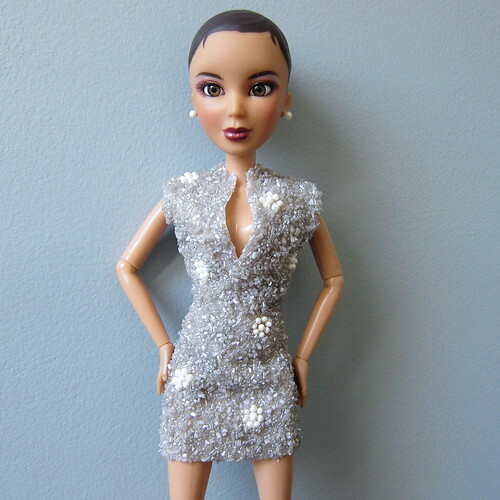 If you don’t have a doll in the house right now, we wrote a post about How to Pick a Model. 3. The following Thursday is Runway Day. Designers post their finished designs on the Flickr Project Project Runway group (and blogs if they have them). We really encourage everyone to comment on each other’s designs as it adds to the fun. Do I need to watch Project Runway to play along? No, you don’t. We explain all the challenges, so you don’t need to have seen the show. This means people outside of the US can easily play too. I want to play, but I’m not a very good at sewing? That is totally fine. This is a non-competitive, encouraging group and all skill levels are welcome. 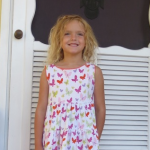 Plus, you just might find your sewing skills get better during the season. What if I can’t do every week’s challenge? That is ok, we realize everyone has a life. If you miss a week, just jump in the next week. Does it cost a lot to participate? It certainly doesn’t have to. 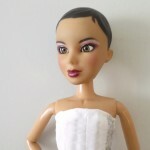 If you don’t have a doll look for sales or pick up a cheap Barbie knock-off at a dollar store. As for fabric, you end up using very little for the clothing. A lot of us save scraps from other projects and pick up things in the remnant bins. It is a fun challenge! We hope you all will join us, we’ll be posting our first challenge on Friday, July 25th! And please let us know in the comments if you planning on joining in. Have always looked forward to seeing your posts after a PR episode airs. Thank you for coming back. I cannot participate but am looking forward to seeing what shows up on your blog. Thank you! Last year was a *lot* of fun — I’m hoping to join you again this time around! Woohoo! I missed you in our last season!